Gain a new perspective on training with VR. How Wake Technical Community College is helping to build North Carolina’s workforce. 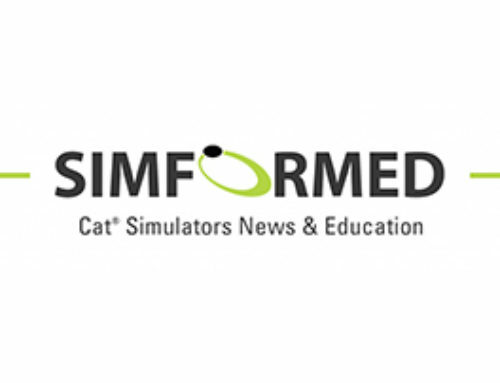 Cat® Simulators visits Ontario. Meet the Team. We’re constantly researching new and effective ways to help our customers train their machine operators. One of the latest avenues is through Virtual Reality (VR). By wearing a headset (aka head mounted display), users perform exercises within a virtual environment with a seamless view of the surroundings. VR Edition is currently available for the Advanced Construction Excavator. Not only can users see more of the environment, they gain greater depth perception. VR makes exercises such as loading the truck, clearing debris, and pipe installation more accurate when judging distance from the bucket to the target. Contact an Account Manager at 1.309.266.2640. Building North Carolina’s Workforce is a group effort at Wake Technical Community College. Developing a heavy equipment operator training program took the coordination of industry stakeholders, machine companies, college officials and administrators. Local leaders got involved with the promise of hands-on training through work base learning (co-op) and apprenticeship programs. When performing production slot dozing work, don’t forget about the ripper attachment. Pairing the correct “front to back” slot removal technique, with less than a minute of ripping, will greatly improve yards-per-hour production. Plus, using the right technique and work tool lowers the operating costs! Cat Simulators Account Manager, Kim Dillard and trainer, Simon Halibi recently traveled to Sudbury, Ontario for a customer installation. 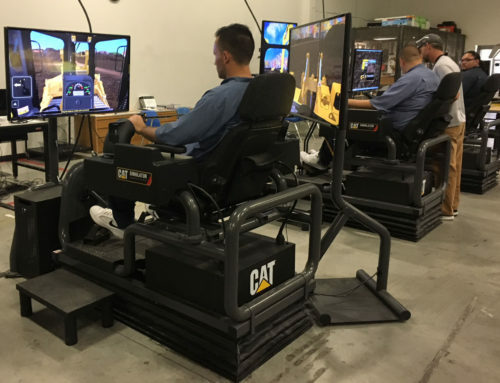 The team was also invited to demo Cat Simulators at the yearly managers’ meeting. Managers throughout the company, from various Ontario locations, attended the meeting. Dillard explained to attendees how Cat Simulators can lower costs and increase production, and then treated them to hands-on time on the simulator. Meet Troy Bombardier, Cat Simulators Training Instructor/Design Specialist for Simformotion™ LLC. In this role, Bombardier is responsible for training customers on the use of Cat Simulators, including hardware, software and customized training. Bombardier’s specialized skills and background as an expert operator are core to his ability to train anywhere in the world. He has conducted training for the US military, foreign militaries, universities, colleges, trade schools and some of the largest mining companies in the world. 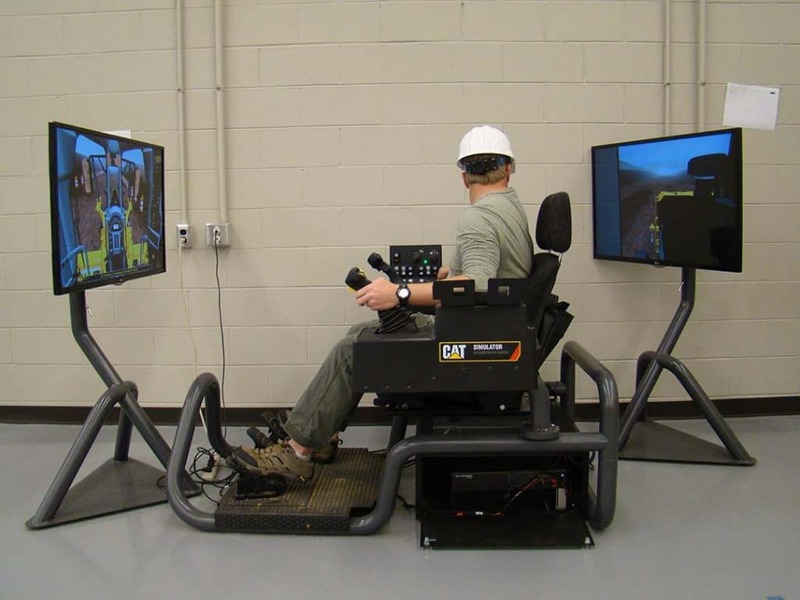 His in-depth simulator and machine knowledge helps clients understand how simulator training translates to the actual machine to increase efficiency and safety. He also lends his 28 years of operator expertise to the 3D development team when a new machine simulator is developed, by working with the team to make sure each model is realistic.